Using a few common tools, you can easily assemble our ADA handrails on site. No welding, special tools, or large teams are required. 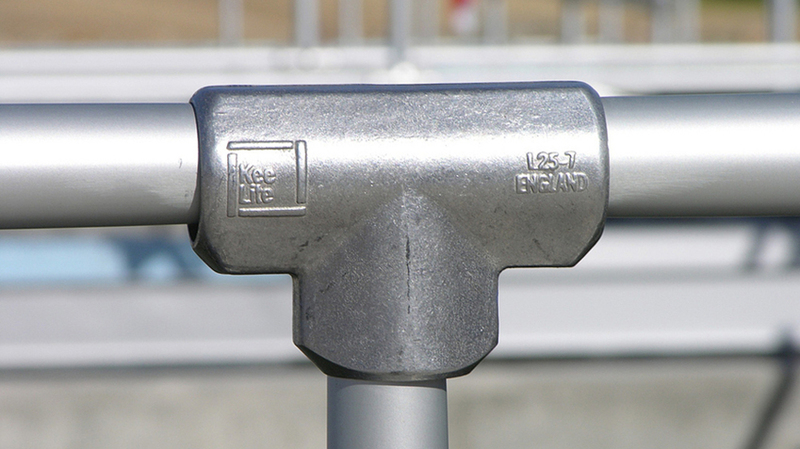 Unlike welded ADA Railings, our galvanized components protect against corrosion and failure, lasting up to 7x longer than prefabricated railings. 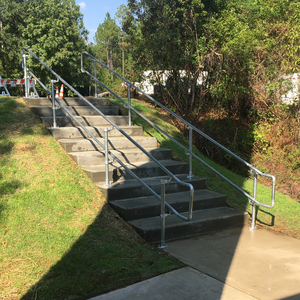 Sometimes all that’s needed is simple handrail to provide ADA compliant access along a short ramp or section of stairs. We offer several easy to configure kits that you can purchase online and install yourself. 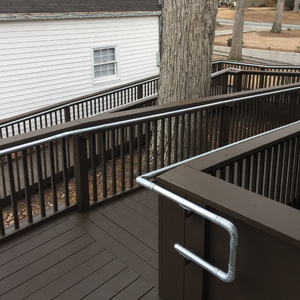 If your job is larger or more complex than our convenient kits, talk with our team of ADA Railings and ADA Handrail experts. 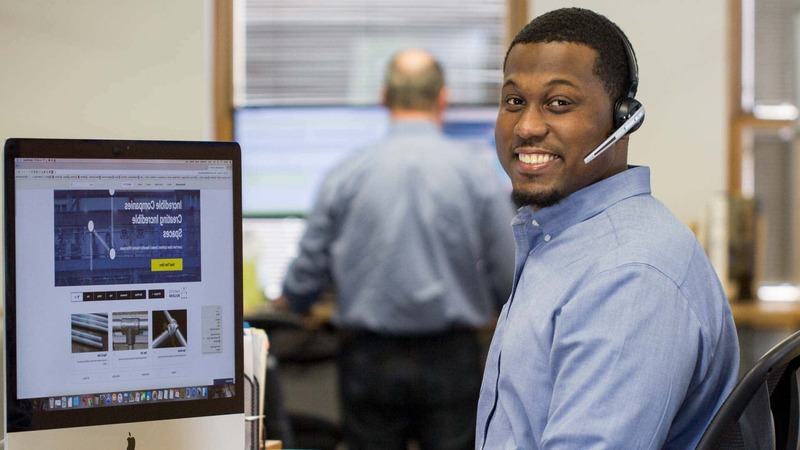 We will help you design an ADA compliant solution for the right price, and we’ll provide the support you need to complete your project. We’re here to help from start to finish. Welded railings often compromise the integrity of the anti-corrosion coating, leaving the railing exposed to rust and the possibility of internal corrosion. 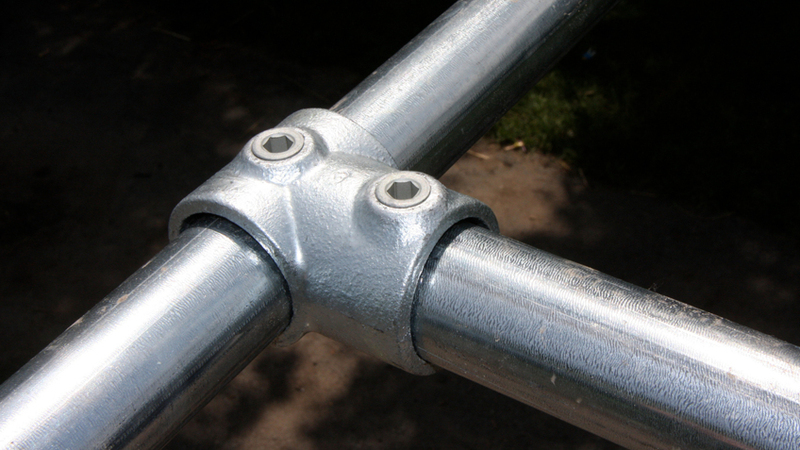 Because our handrail does not require any bending or welding, labor costs are significantly reduced. 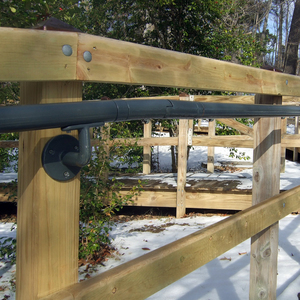 The railing is easily installed onsite, with no special expertise. 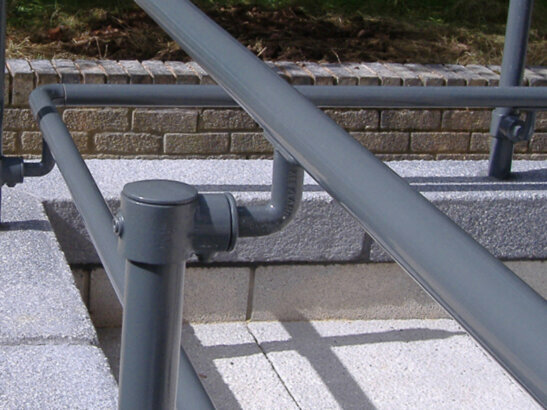 Railings can quickly be assembled or taken down to meet your seasonal demands, and fitted components are easy to replace should damage ever occur. 2 people x 8 hours to install 100 ft. Installation only requires a few common tools. 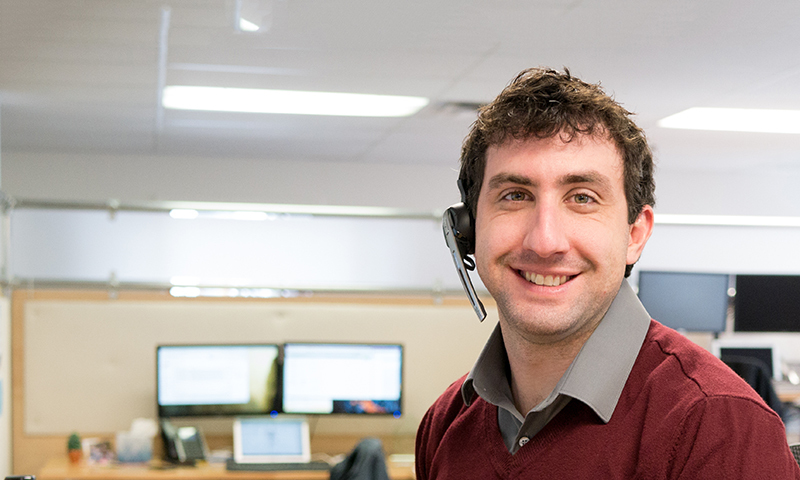 We offer more than a product, you also receive the technical support you need to get the job scoped and installed. 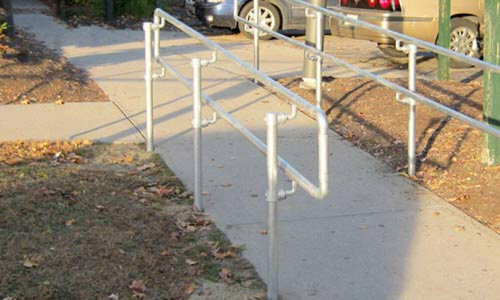 The surface of ADA compliant handrails should be smooth and continuous. Someone using the railing should be able to maintain a consistent grip and easily run their hand along the entire handrail. 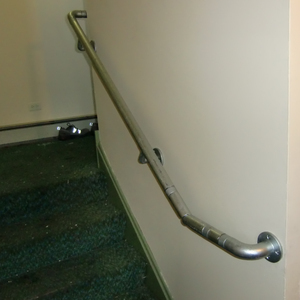 In order to be ADA compliant, handrail must be 34 in. x 38 in. in height. 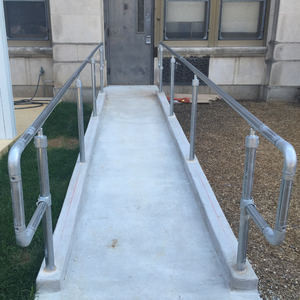 If you have a drop of 6 inches or more on the side of your ramp, stair, or landing, you will also need a bottom rail to protect wheelchairs, feet, and crutches from falling off the edge. 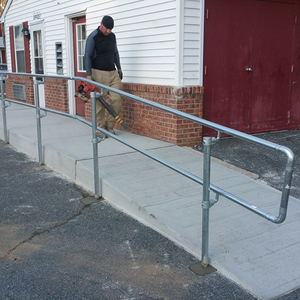 You must have ADA compliant handrails on both sides of your ramp or stairs. You will also need to leave 36 inches of space between the two railings to leave enough space for a wheelchair to access and comfortably pass through. I am a woodworker and have never done metal work including welding. 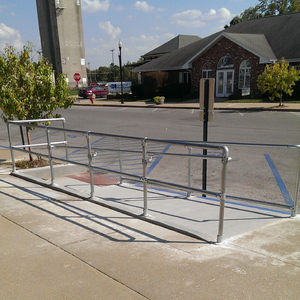 I needed to build 2 ADA approved Handrails for this ramp. Since I do not do welding I went online for alternate methods. I saw your site and it seemed to be my answer. I was able to build the entire handrail system by myself. It was not complicated and achieved everything I hoped it would. And it looks great. Plus it meets everybody's code. Ex: tell us about any ramps, stairways, and the number of sections you need. Consider using the sketch sheet on the right to draw out your railing. Upload it using the form above.